www.scientia.org.in: Why Humans Prevailed Over Neanderthals? 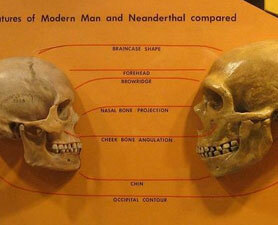 Why Humans Prevailed Over Neanderthals? One hundred thousand years ago, several humanlike species walked the Earth. There were tribes of stocky Neanderthals eking out an existence in Europe and northwest Asia, and bands of cave-dwelling Denisovans in Asia. A diminutive, hobbitlike people called Homo floresiensis inhabited Indonesia. What were essentially modern humans roamed Africa.